Thumbay Medical Tourism (TMT) is an award-winning initiative of Thumbay Group’s Healthcare Division, which has been making significant strides since its launch. TMT focuses on promoting Thumbay Group’s ultra-modern healthcare services to the growing number of international patients visiting the UAE, at affordable costs. Thumbay Hospitals are fast emerging as one of the most popular destinations for medical tourists. The cultural diversity of the patients is perfectly complemented by the staff from diverse nationalities. 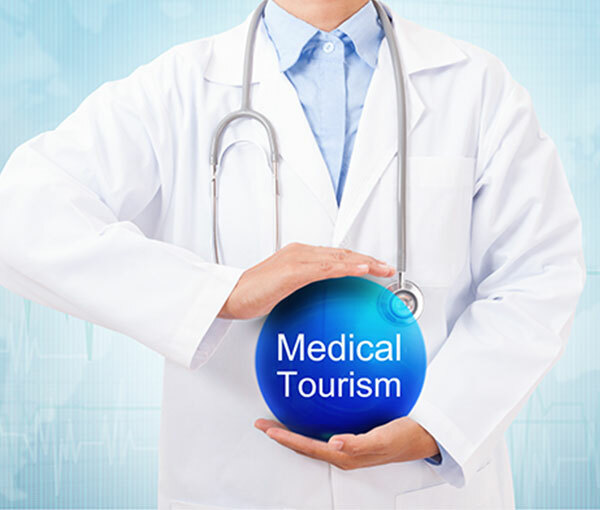 TMT renders a large portfolio of travel and medical services to medical tourists from all over the world, and also arranges on-demand translator services, accommodation services, customized treatment packages, preferred cuisine, travel arrangements, priority appointments, airport pick up &amp; drop off, etc. Each medical tourist is attended to by a dedicated TMT staff. Most packages also include tourist site visits, dedicated fleet of vehicles and spa &amp; recreational therapies. Through TMT, medical tourists are fast-tracked to their appointments and investigations at Thumbay Hospitals. Moreover, the Medical Tourism team at Thumbay Hospitals goes the extra-mile to ensure patient care and satisfaction and understands the needs of individuals from different countries and ethnic backgrounds. TMT has representative offices in 87 countries across the globe. As part of the Group’s strategic plans, Thumbay Medical Tourism expects to welcome around 1000 medical tourists daily, by 2022.